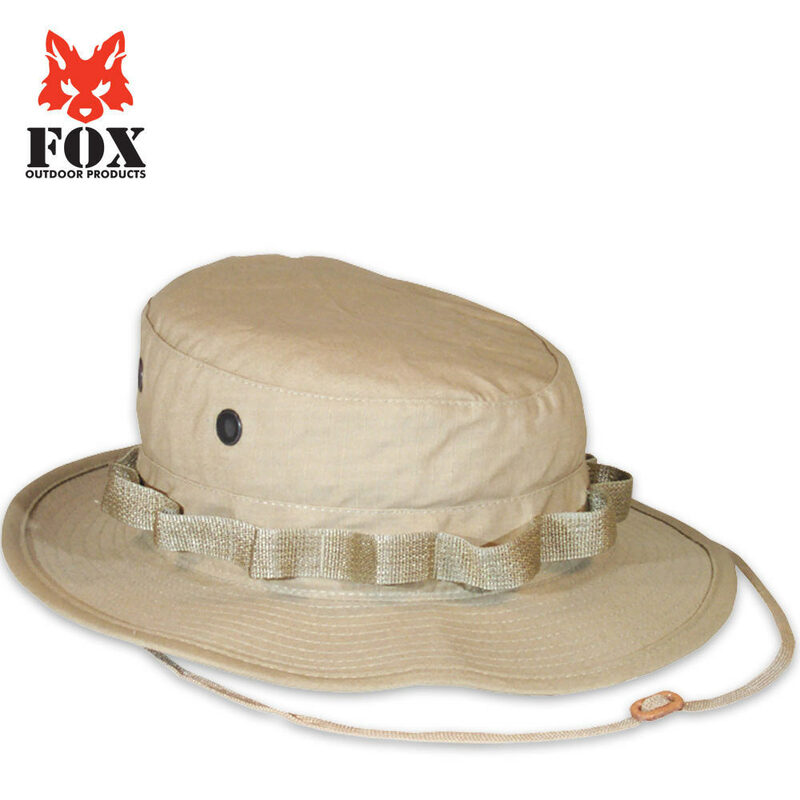 Fox Rip Stop Boonie Hat Khaki | BUDK.com - Knives & Swords At The Lowest Prices! Made to government specifications, this Khaki colored Boonie style hat offers 360 degrees of protection. Wear a 7.5" hat which is standard XL, but this hat definitely runs BIG. Going to try ordering a L and hope it is an inch smaller circumference. Very disappointed, nice fabric and color, seems well made.